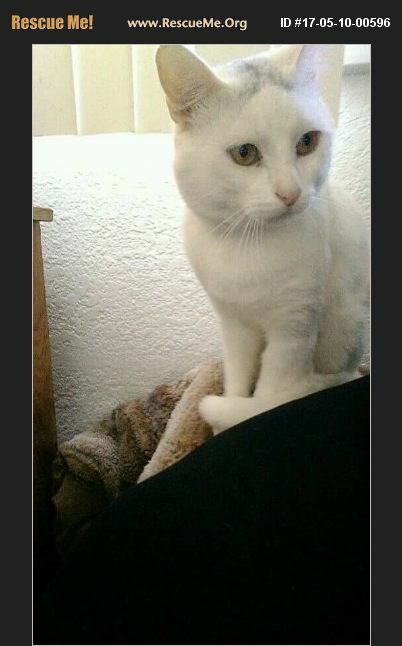 **Sorry, we cannot adopt outside the Southern California area*** Meet Rocco: Rocco is a very handsome Turkish Van. He is all white with just a smudge on his head. He is about 4 years old. This guy is very sweet, outgoing, and friendly! He is very people oriented, too. He can't wait to find his new loving forever home.